It was during the final stages of The Innocents that Stanley Donen went into production on his next picture, a romantic comedy thriller, Charade. It had been written for London, but at the eleventh hour there were some tax problems concerning the principal actors and the whole thing was moved to the Studio de Boulogne in Paris. 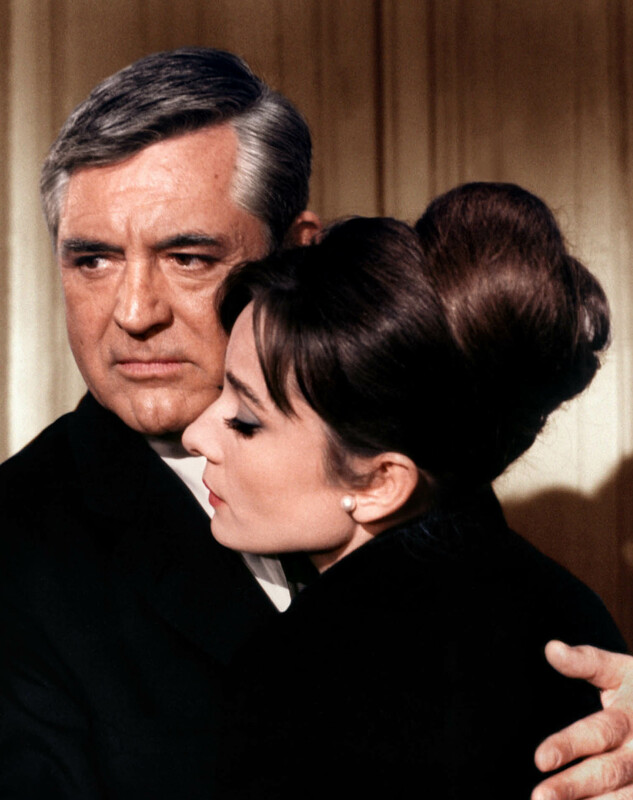 Charade had Cary Grant and Audrey Hepburn in the lead roles and an excellent list of supporting actors. The screenplay was good and the actors well cast. Walter Matthau, James Coburn, and George Kennedy all went on to become leading Hollywood stars. It was a film with a slender story but masses of style and Peter Stone, one of the two writers, was on set all the time to alter dialogue if Cary required it. Peter had previously written for television but had no film production experience and he wanted to learn how movies were made. He also helped keep the atmosphere light. There was great camaraderie on the set between Stanley, Peter, Cary, and Audrey. She had no faults at all. In fact, it was a very smooth production, largely due to Jimmy Ware’s outstanding ability as an organiser in both languages. Stanley had a very light touch as a director. He allowed the actors to do their thing and only interfered if it was vital. We never socialised with the actors unless they requested it. In France it was a ritual to throw a drinks party on the set every Friday after shooting, hosted by one of the actors. We celebrated Cary Grant’s sixtieth birthday on the set. At the end of shooting, Cary and Audrey gave each crew member a small gift. I started on the first day of photography, along with my crew. I had a Moviola shipped over from England since I did not want to edit on the French machine, the Mauritone, though it did have a great screen and we often used it for viewing rushes and cut scenes. There was a sense of fun pervading the enterprise that made us all feel good. The hours were long for the editing staff because the picture was being shot according to French union rules. Shooting began at noon and continued without a break until eight in the evening, when the rushes were shown. The cutting room, however, would open up around ten in the morning, so that we were on hand should Stanley want to run material on the Mauritone. By the time our rushes had ended in the evening, it was around nine and we had just worked another eleven-hour day. But in Paris you can eat late and we were all younger then.